We are happy to announce that the Florida Guitar Foundation’s Guitar Ensemble is meeting for rehearsals once a week at the University of Miami. Would you like to be part of our ensemble? The idea of this project is to provide all members of our community with the opportunity to join a guitar ensemble composed by players of all ages and levels, from beginners to professional musicians. It is an extremely friendly environment and we guarantee you will have a good time. If you are afraid you are not quite ready to play in a chamber setting right now, don’t worry, we have people that will help you learn your music. What do you need in order to participate? If you are ready to join or have any questions, please contact us below, we are looking forward to hearing from you! Corey Harvin is the director of the Florida Guitar Foundation’s guitar ensemble. Dr. Harvin has been teaching since 1996 and continues as the director of guitar studies at the Palmer Trinity School in Palmetto Bay, Florida. Harvin’s top classes have twice participated and twice won gold medal awards for their performances at University Professor adjudicated music festivals. 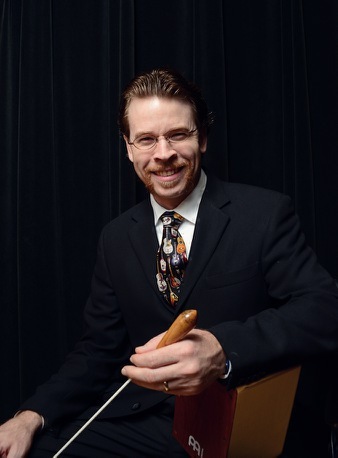 As a soloist, he has also performed with orchestras across the country including the Tennessee Philharmonic Orchestra, Musica Nova of New York, Viva Sinfonietta of Ann Arbor, and the University of South Florida Percussion Ensemble. Corey Harvin completed his undergraduate studies at Florida State University under Bruce Holzman. He completed his master’s and doctoral studies under Nicholas Goluses, at the Eastman School of Music, one of the most prestigious music schools in the United States. Dr. Harvin is also a member of the Miami Guitar Trio. Join our ensemble and guitar orchestra specific mailing list.